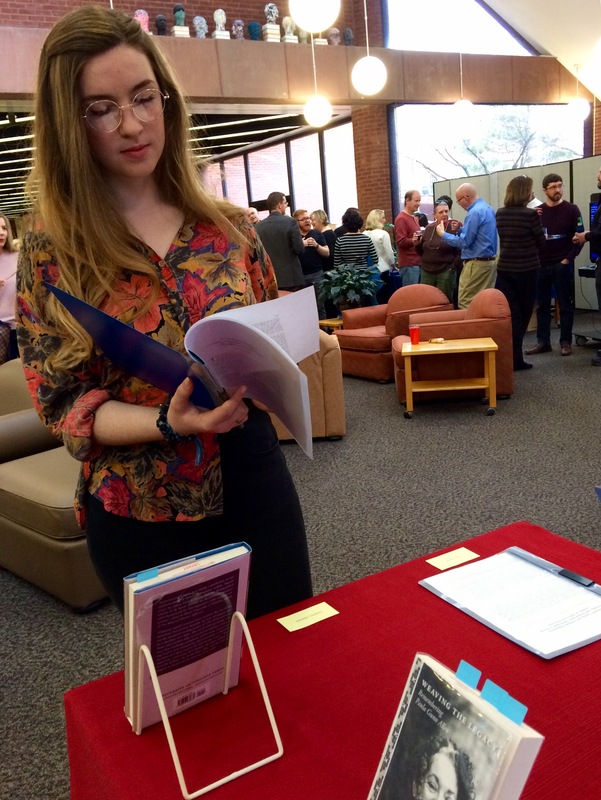 Musselman Library Hosts College Authors Reception | The Gettysburgian. Well, this “FASH” certainly had no lack of partygoers. 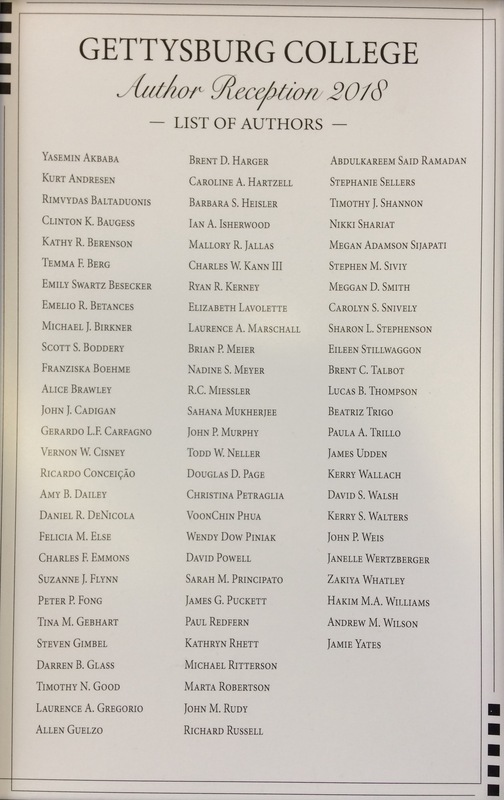 The pleasantly-filled space reflected the magnitude of the works honored by the college and the authors who wrote them: 80 faculty and staff authors, 27 student authors, and 110 publications in total. The diversity across disciplines, age, and professional status seemed to melt away as everyone intermingled, brought together by an appreciation for writing, education, and scholarship. “It’s really nice that they’re including students in the event, especially for The Mercury,” said Aubrey Link ‘19, whose fictional story “A Meeting with Azrael” was published in the latest edition of the the college’s art & literary magazine (complete list of 2017 authors). The Mercury is run through The Cupola, which is an online collection of research articles, book chapters, creative pieces, scholarly publications, and more written by Gettysburg College students, faculty, and staff. The Cupola was started in 2012 and since then has acquired over three-quarters of a million downloads from around the world, reaffirming the college’s commitment to active engagement in scholarship. Truly, this aforementioned dedication shone through in the College Authors Reception that afternoon. The opening speaker said it all when she asserted that though we may be in “times of crisis when reading, writing, or thinking about literature may seem trivial,” Gettysburg College’s recognition of such invaluable works proves that they are not. Julia Chin ‘21 is an English major and Music minor from the “Sunshine State.” Julia conforms to her major’s stereotypes by collaborating with The Mercury, carrying around her weight in books, and asserting her passion for tea and oxford commas; however, she occasionally breaks up the blissful silence of literature through swing dance, theatre rehearsals, and the music of College Choir and Spark Notes (the a cappella group, not the website for foolish children who wish to avoid reading).